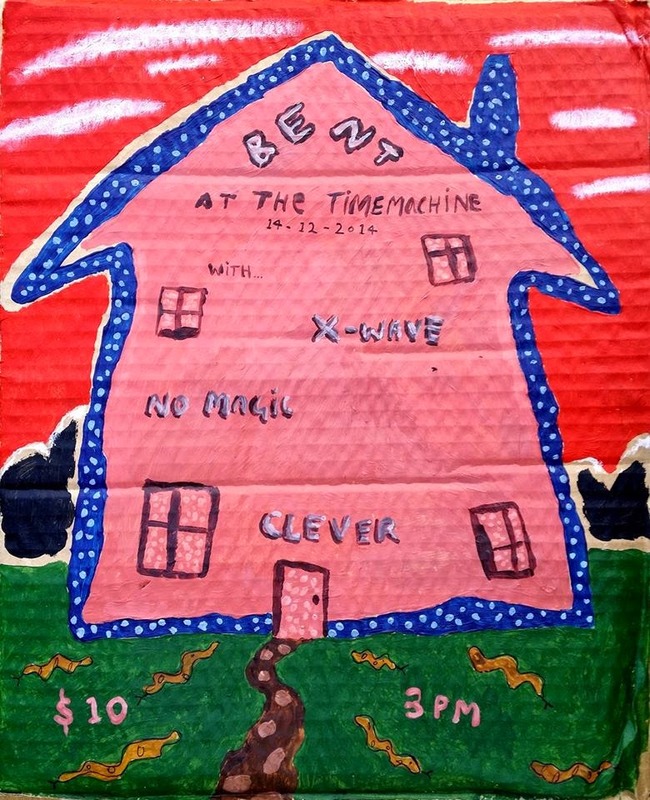 The Time Machine: December Shows. SUNDAY 14th DECEMBER at 3pm. SUNDAY 21st DECEMBER at 6pm. 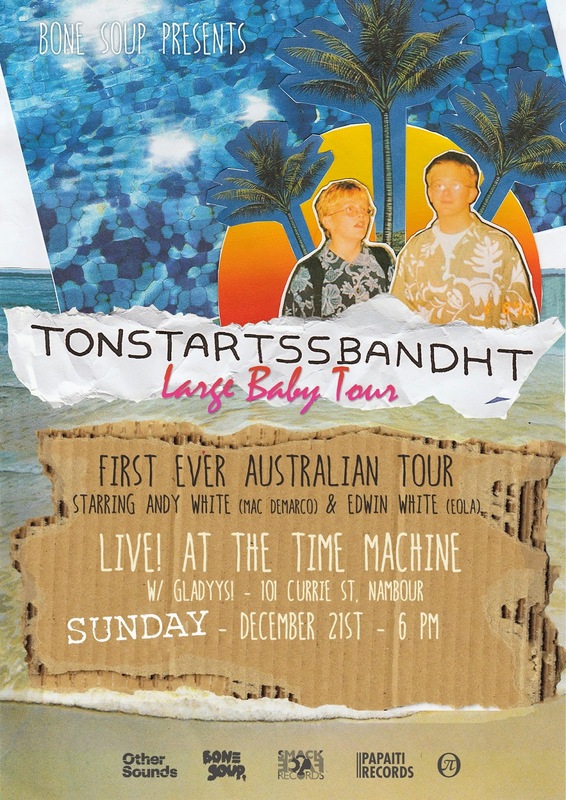 "Psychedelic wig-outs, Tonstartssbandht (pronounced tahn-starts-bandit), bring their prodigious musicianship to Australia this December and January! Andy and Edwin White are two musically prodigious brothers from Florida that come together as Tonstartssbandht, producing self-proclaimed “psychedelic boogie rock”. Both musicians have their own amazing thing going on, Andy, for some, is better known as Mac DeMarco's new guitarist, while Edwin is also known for his solo project Eola. They have a tricky name, but that's ok when their music is so damn good! These guys blaze through super tight long-form jams with a sound that builds and climbs, transcends and demolishes. Andy creates mellifluous and expansive sounds on his 12-string Danelectro, while Edwin’s driving killer drums (dam he's good) never drop a beat, together they create amazing harmonies, and musical journeys unmatched. It's garage, it's psych, it's country, it's all of the things! "